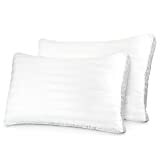 Sleep better than ever in the comfort and luxury of our Vera Nice Aloe Vera Infused Gel Pillows. 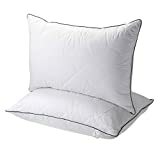 These pillows are high quality, super-plush, durable, and soft – it’s like sleeping on a cloud! 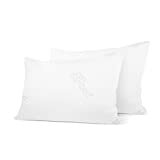 They are also infused with 100% all-natural aloe vera, a plant known for it’s moisturizing and skin-soothing properties. 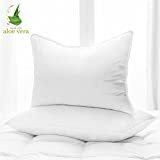 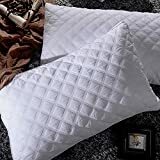 The aloe vera treatment ensures these pillows will remain smooth and soft, and the natural health benefits help to rejuvenate and moisturize your skin, so you’ll wake up feeling relaxed and revitalized.Our aloe vera pillows are in high demand and sell out fast. 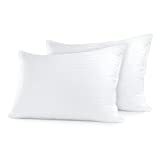 Order yours today and sleep great in comfort and ultra high end luxury, and enjoy the natural health benefits too!